This charming ranch packs a big punch with it's functional and charming floorpan. 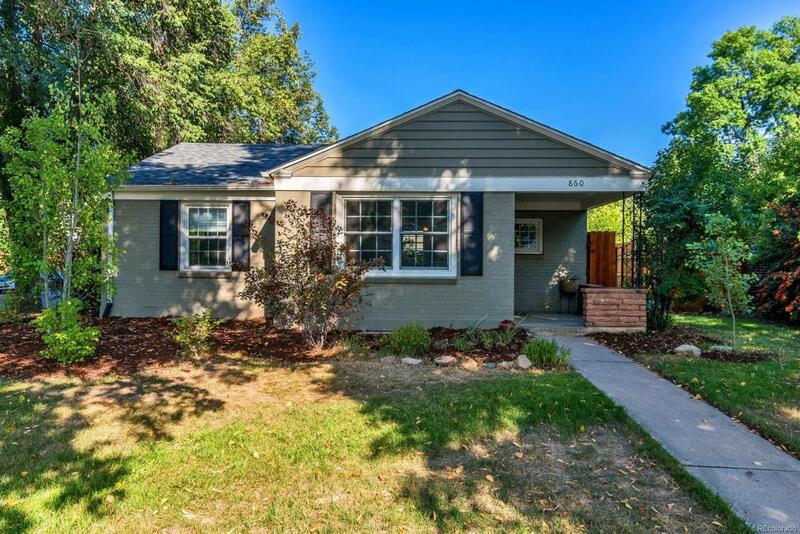 Thoroughly updated within the last 7 years, the home features a new roof and oversize gutters in 2015, newer windows, newer kitchen cabinets, granite counters and stainless appliances, and renovated full bath. The basement is warm and inviting with a family room, bedroom perfect for guests to enjoy their own private space, laundry and storage. The backyard is a delight with a covered patio which is perfect for entertaining and barbecues rain or shine. Top it all off with a roomy 2-car garage. Other improvements include installation of a new water line in 2011 and french drain around the home in 2013, as well as a new water heater in 2016. This home is the total package! Offered by The Denver Home Company.